Confetti Birthday Tags - Personalized! 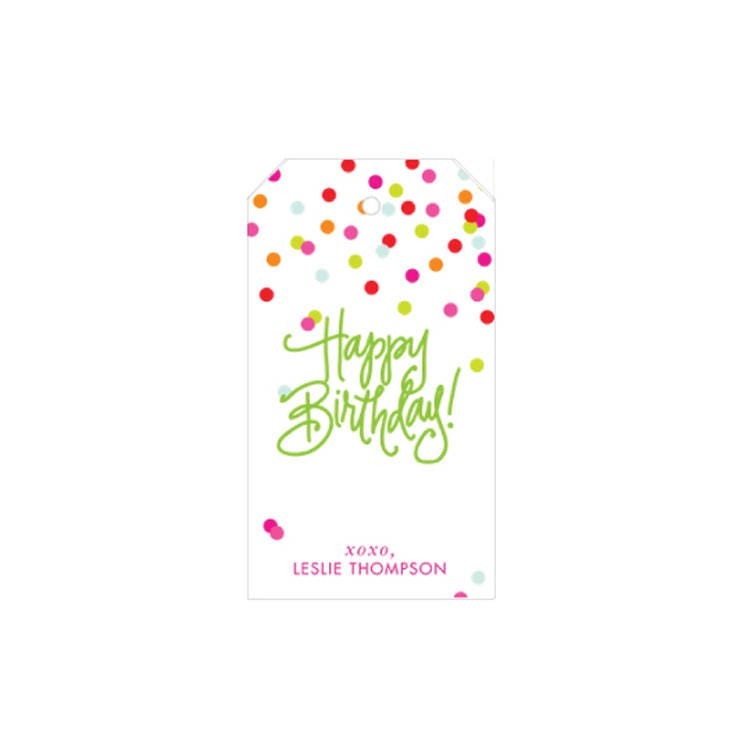 "Happy Birthday" is handlettered with colorful confetti dots in our favorite colors! Personalized with a greeting and name(s) in a happy pink.